Corinne Berry Earns Certificate for Financial Analysis For Commercial Investment Real Estate. Boys & Girls Clubs of America Honors Rajia Ackley. Receives the National Service to Youth Award. 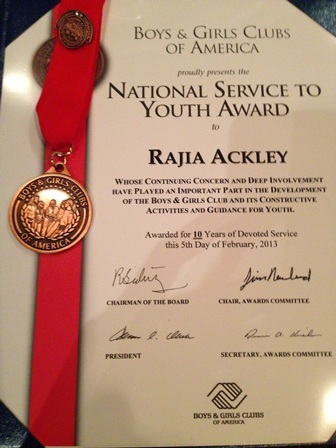 Rajia Ackley Receives The "National Service to Youth Award" from Boys & Girls Clubs of America.